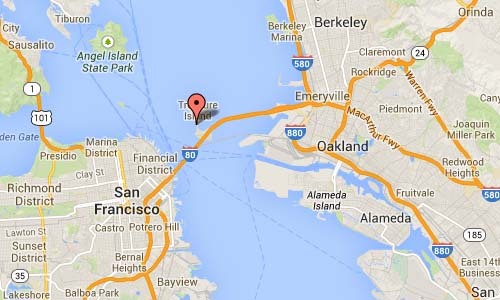 Treasure Island is an artificial island in the San Francisco Bay between San Francisco and Oakland, and an emerging neighborhood of San Francisco. 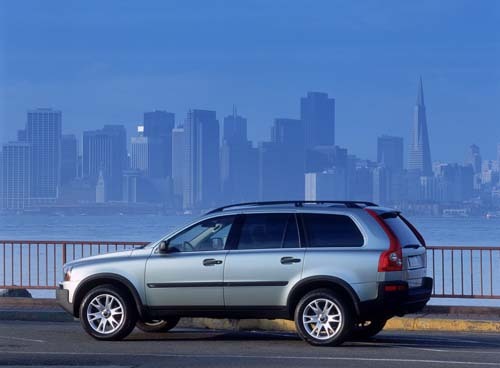 The island is entirely within the City and County of San Francisco, whose territory extends far into San Francisco Bay and includes a tip of Alameda Island. 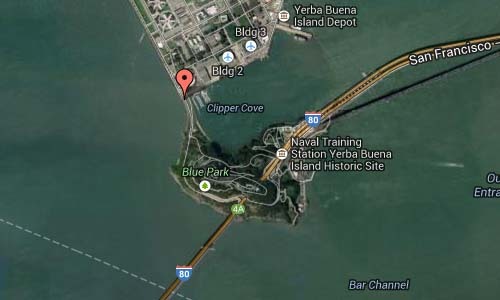 Treasure Island is connected by a small isthmus to Yerba Buena Island. 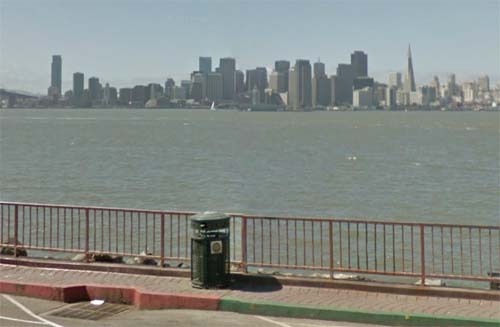 The island is named after the novel Treasure Island, by Robert Louis Stevenson, who lived in San Francisco from 1879 to 1880. 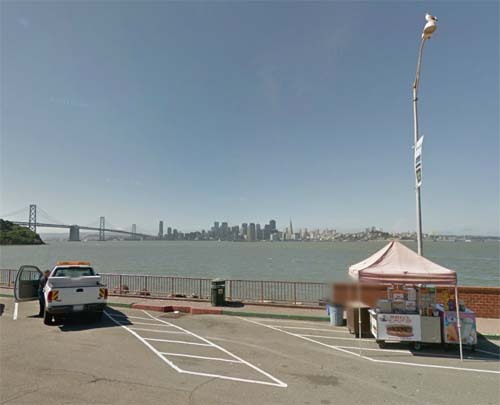 Treasure Island was created in 1936 and 1937, from fill dredged from the bay, for the 1939 Golden Gate International Exposition. The island is now a California Historical Landmark, honoring the site of the exposition.